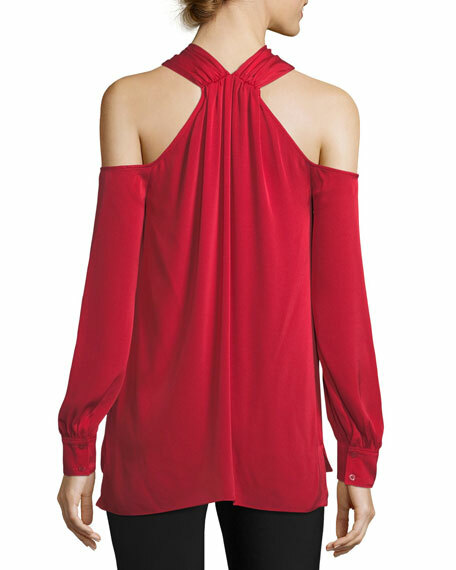 Trina Turk "Mitchell" stretch silk top. 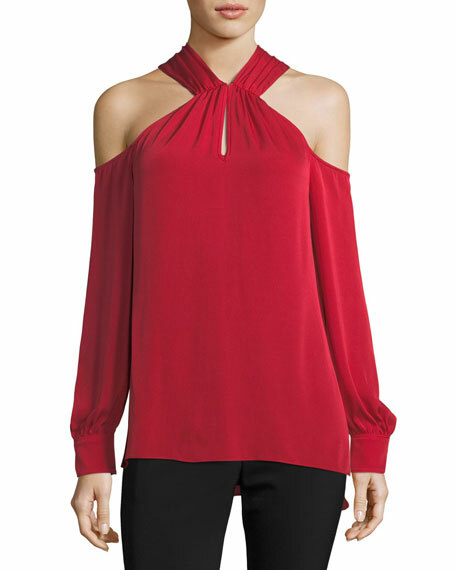 Long sleeves; cold shoulder cutouts. For in-store inquiries, use sku #2386250.